Most people want to work out and get in shape but use not having the money for a gym membership or a trainer as an excuse. Well, you can save money and shed pounds at the same time with some money (and weight) saving tips below! Get Outside & Play: Play with your kids, play sports in a league, play with a group of friends from work or play with your neighbors. No matter what you decide to do, getting outside gives some of the best exercise! Many employers encourage bonding and what better way to bond than with a friendly game of basketball. If you're a stay at home mom or work from home, get outside and play tag with your kids, kick around a soccer ball or practice your dribbling skills. You'll burn 100 - 300 calories per hour depending on the intensity! Hit the Stairs: Go to your local high school or college stadium and start climbing. Stairs is some of the best exercise out there, burning upwards of 100 calories in only 10 minutes. It works every muscle in your leg while giving you an excellent cardio workout. Get Apps: There are thousands of fitness apps available for virtually any smart phone on the market. Most don't cost more than $1.99 and give you tons of useful information. Download some apps today and you'll have workout ideas, nutrition advice, exercise tips and supplement advice at your finger tips 24 hours a day! Hit the Classifieds: Craigs List, the Recycler, your local paper and many online classified websites have tons of barely used gym equipment for sale. People buy it and sometimes never even use it when they finally decide to sell it. Keep an eye out for garage sales in your area too. Equipment is sold at ridiculously low prices at garage sales because people just need to get rid of their items! You can get great deals on gym equipment that way. Pay a Visit: Go check out your local gym and see if you can get some passes so you can check it out. Most gyms will give you free passes for one week up to a month and give you free access to the facility and all amenities. With the pass, you can go any time of day and see which times work best with your schedule. Maybe you want to avoid the after work rush so you may want to get up and go first thing in the morning. Buddy Up: Most gyms give their members free buddy passes. They can give it to friends or family members and they usually give you a one week to one month free pass. Not only do you get to work out for free, but you get to do it with a friend or relative! Got Cable: Get the cable channel and get FitTV. It offers workout, nutrition, health and fitness programming 24 hours a day and 7 days a week. Go to fittv.discovery.com for more information or to watch free videos online. Play Video Games: You wouldn't think that playing video games would be a way to get a workout but it is. With systems like the Wii, you can play video games and get a workout at the same time. Not only that, it will also monitor your weight loss (or gain) and help keep you accountable. If you don't use it for a few days, it'll remind you by telling you how long you've been away! You'll be getting a great entertainment video game console for your home and your family, a fitness program and a DVD player all in one. 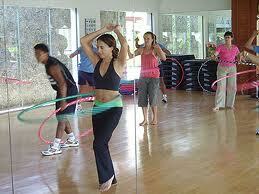 Fitness Classes: Community park and recreations programs offer classes at very low cost. They offer them mornings and evenings so that moms and dads can attend before or after work. Clothing stores such as Lucy apparel and Lululemon offer free introductory classes in store. They include yoga, pilates, strength training and more. Surf the Internet: Log onto websites such as meetup.com and fit-2gether.com to find friends to work out with no matter where you live. Most of these sites are free to search and they get people with common interests together for workouts, healthy cooking nights and team sports. Bid Away: Go Ebay and search for videos, resistance bands, medicine balls, workout gear and more at below retail prices. Just as in classifieds, on Ebay you can items and build your own home gym for under $100. Partner Up: If your gym allows, split a training session with your best friend. Ask a trainer if he'll train both of you together for the price of one. Not only will you get the encouragement from your trainer but from your friend as well. Use Your Weight: You don't need gym equipment to exercise. Use your own body weight. If you cant do push ups, pull up a chair and do push ups off the chair. Can't do squats yet, put a ball between your lower back and the wall and guide yourself down the wall with it. Not ready for lunges yet, do them next to a couch or a table, helping you support some of your body weight on furniture. Download: Download free workout videos from You Tube and podcast websites onto your iPod for workouts anywhere and everywhere you go. Most are only $1 on itTunes. Cut Coupons: Fitness magazines, newspapers and websites often have coupons to local gyms in your area. Cut the coupons and get to it.